Changing student demographics can pose big challenges to higher education institutions. The ability to adapt is key to creating a place where everyone can succeed. 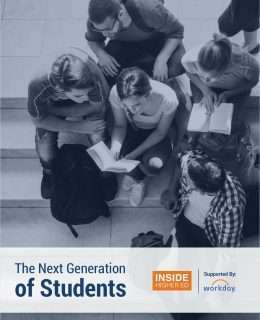 This report from Inside Higher Ed dives deep into what these changes mean for your campus and how technology can help you meet the needs of a new generation of students.